At Treasure Coast Window Fashions serving the West Palm Beach area, we know that choosing the right window treatment can be overwhelming and nerve-wracking. That’s why we do our best to help our customers understand the benefits of all of the options available, so that they can begin to narrow down their choices even before they speak with one of our representatives. So we hope this blog is informative and helpful to anyone out there. Read on to learn more! Exceptionally flexible in function, these window treatments are perfect for nearly any room in the home. They’re made with adjustable fabric louvers that makes the treatment look like a roman shade when it’s closed. When they are opened, the louvers work like a blind, providing view-through to the outdoors. You can position the louvers anywhere you’d like, between open and closed. One great benefit to the Pirouette is that it offers six distinctive fabrics, and a palette of over 63 color options. All fabrics are available in two vane sizes—4″ Petite or 5″ Grande—and you may select between two opacity levels—semi-opaque and room-darkening. 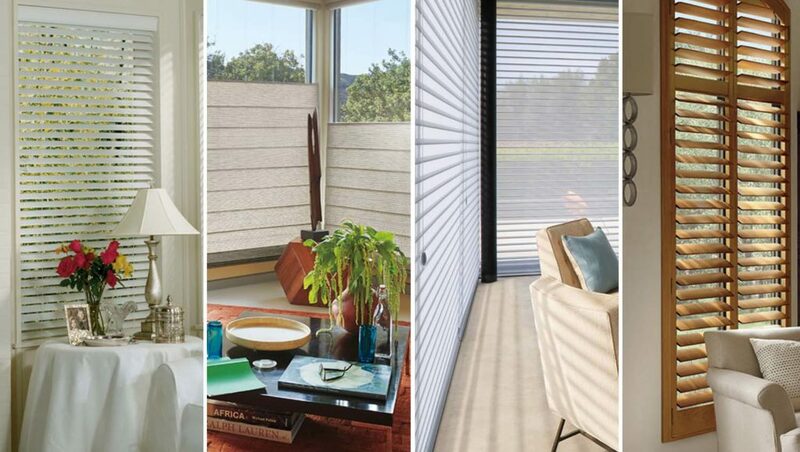 Plus, Pirouette® Shadings are not only beautiful, but they also provide up to 81% UV protection when the vanes are open and 99% protection when the vanes are closed. Pirouette® is the ultimate window treatment when it comes to flexibility and versatile functionality. PowerView® Motorization Is a Must-Have! PowerView Motorization allows you to operate and program your shades to open and close when you want—even when you aren’t home. Use the PowerView app on your smartphone or tablet to position your shades exactly where you want them. There is also the PowerView® Pebble®, a modern take on the remote control that has incredible range. No longer for just convenience, it opens a whole new world of functionality, privacy, and safety for your home.